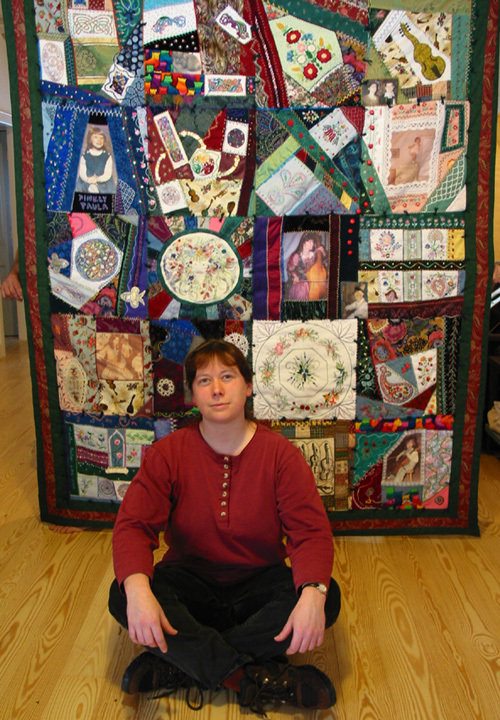 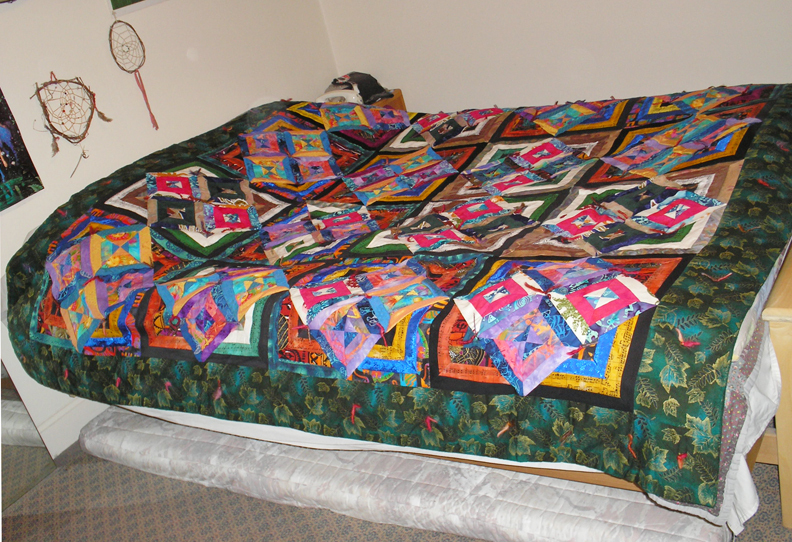 After my Mother surprised me with a crazy quilt she made for me for Christmas last year (see below), I've been interested in learning to quilt. 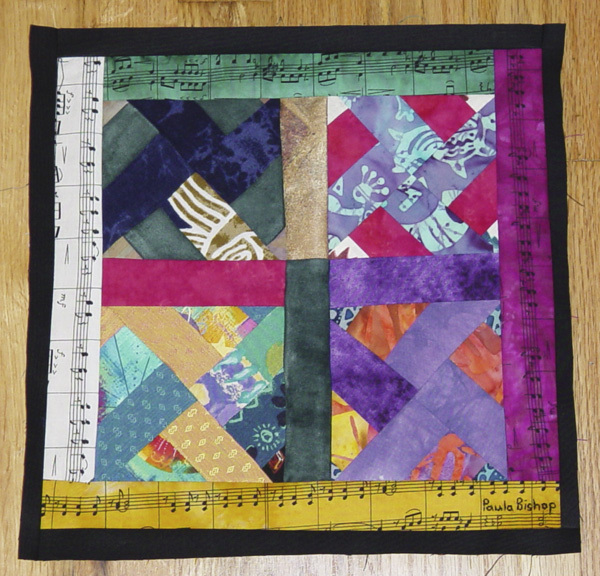 I took a one day class earlier this year and learned a little about "strip quilting," starting on a "boulliabaisse" style quilt (shown below on my work area) with a hodge podge of fabrics, including non-traditional (ie non-cotton) types such as rayons, "marquis de suede," etc. 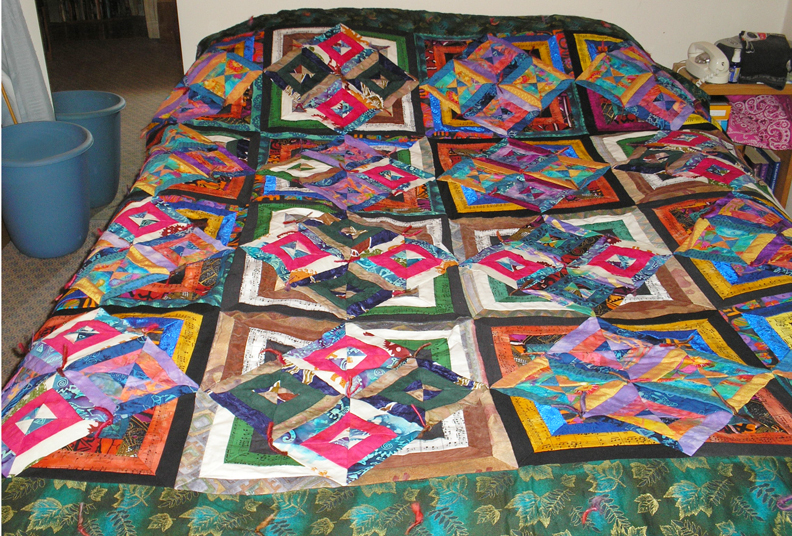 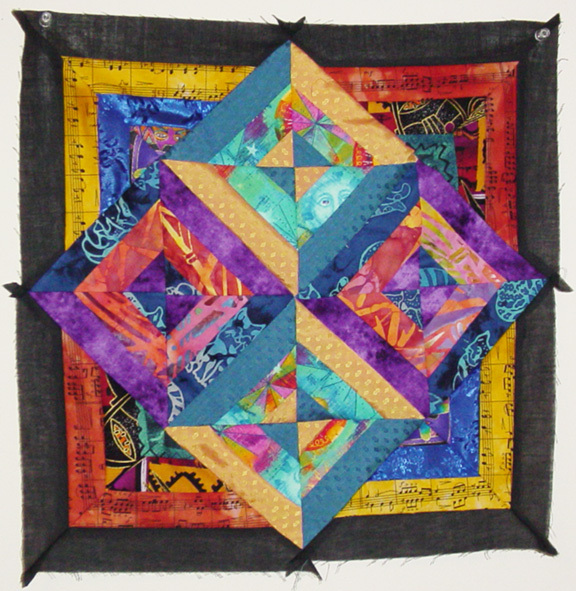 A year later, I finally finished my first quilt, with a boulliabase pattern, shown below. 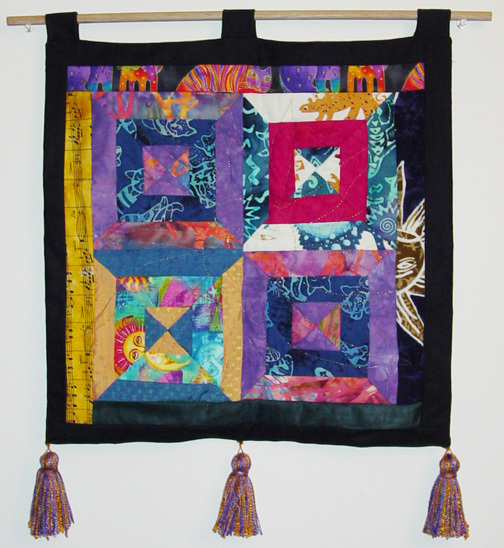 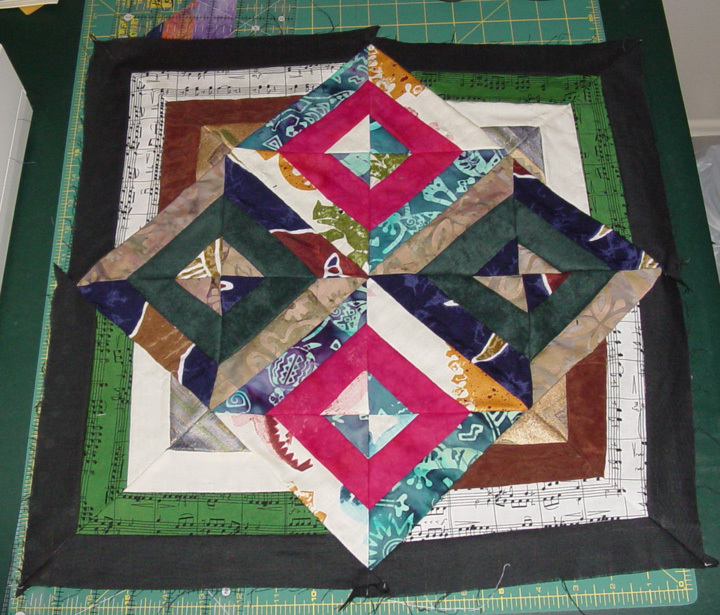 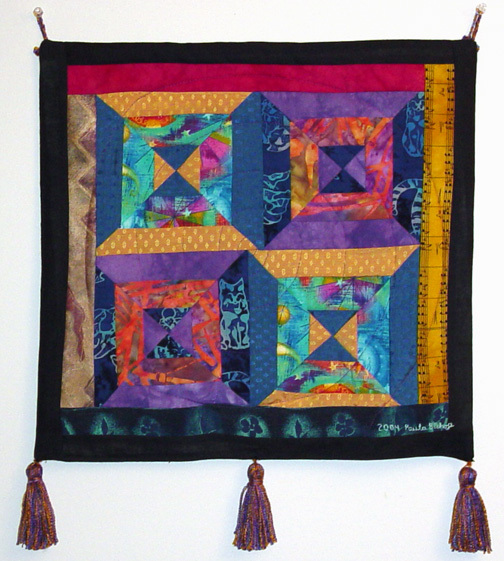 Several wall hangings came out of the process, as I learned to make even squares!